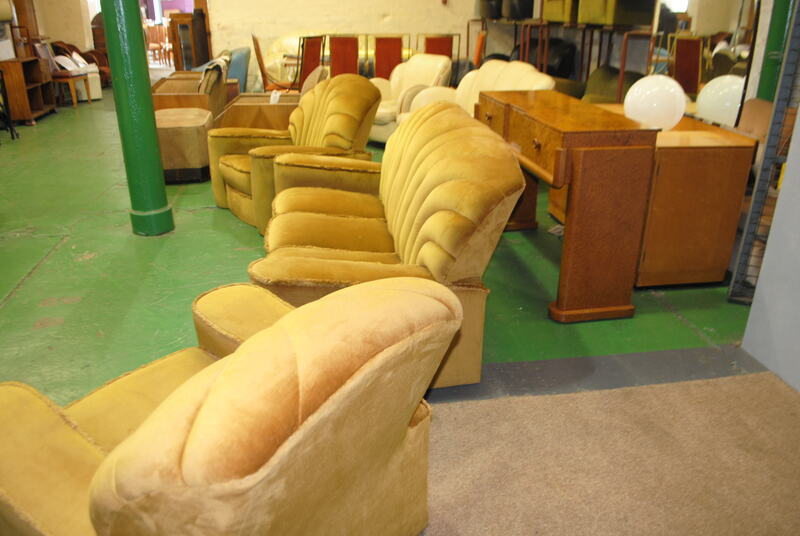 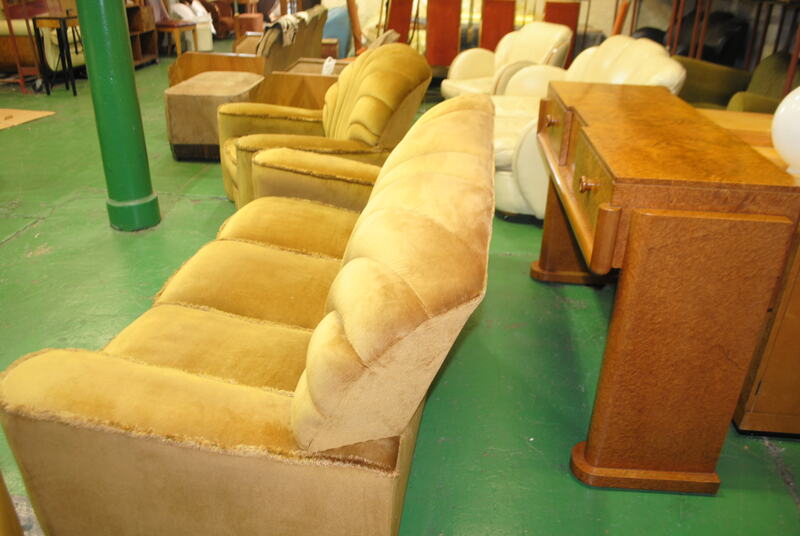 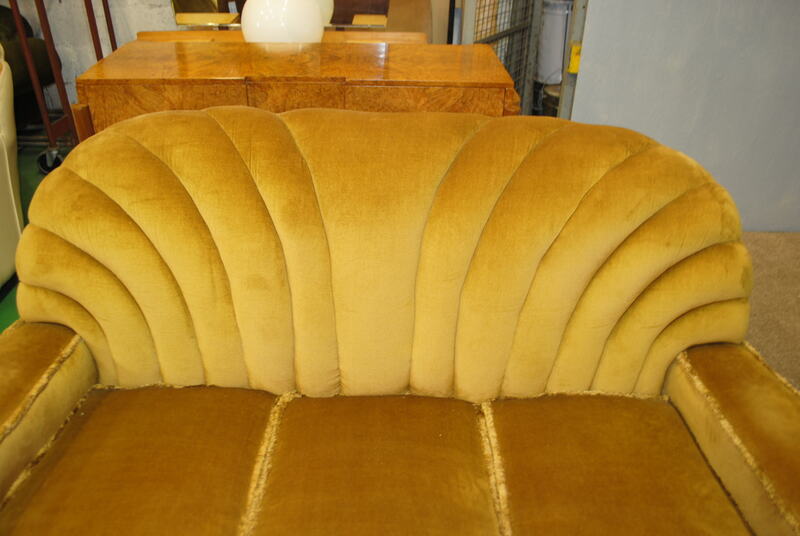 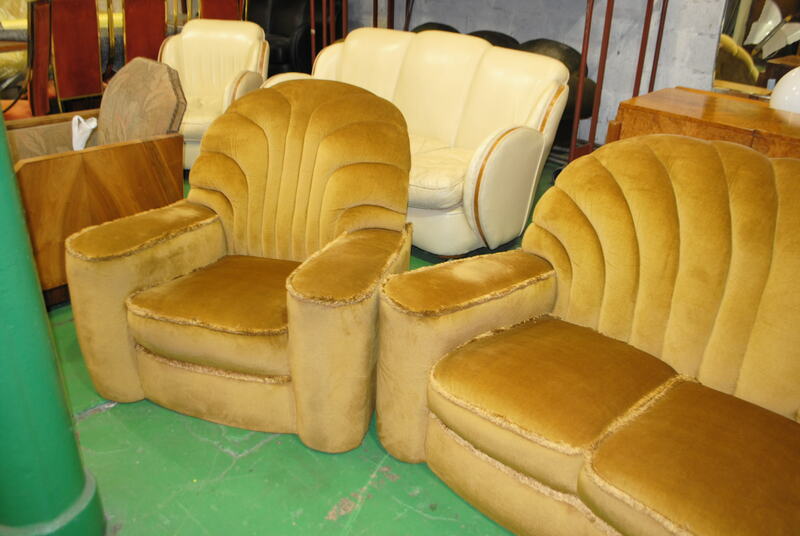 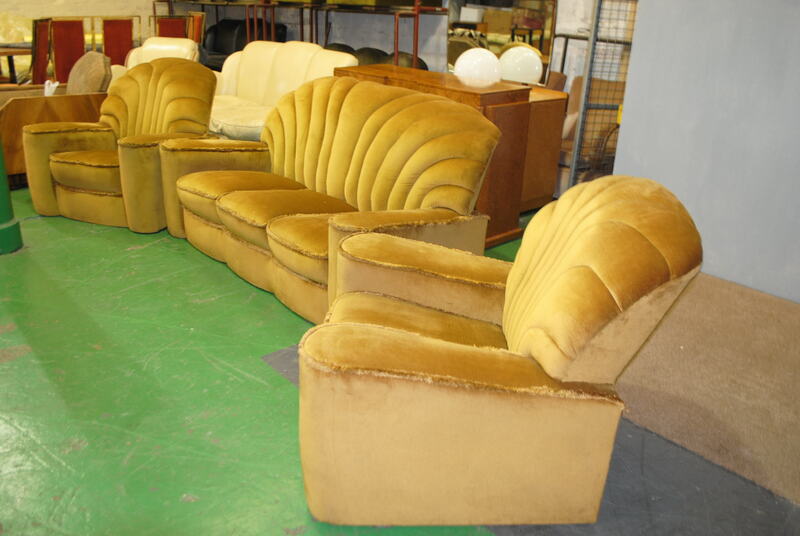 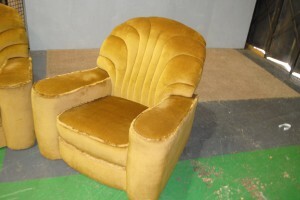 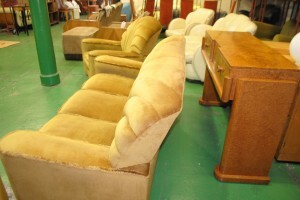 A fabulous original art deco 3 piece suite with the stunning shell back design. 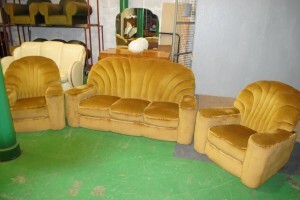 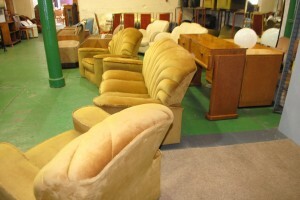 This suite is in very good condition and has just been professionally cleaned. 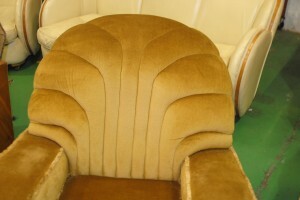 There is a very small tear to the top rear of one chair.The tear was inflicted by removal men and is not wear and tear (no pun intended! ) 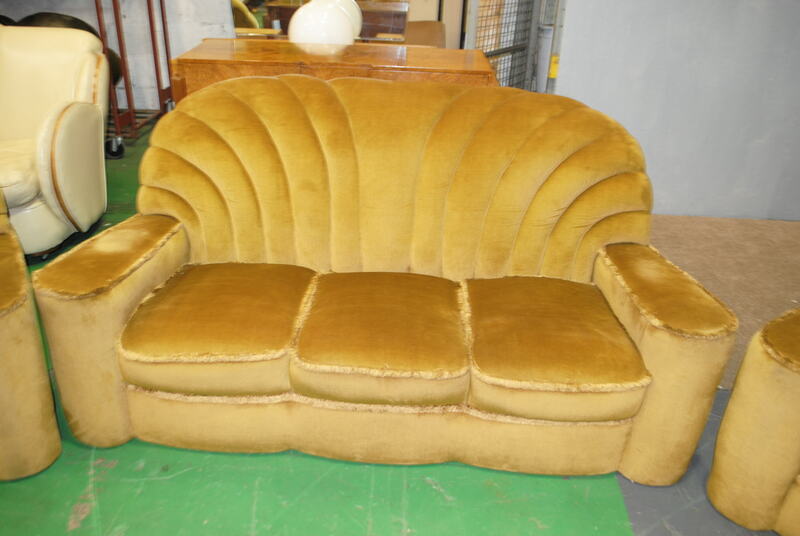 The suite is totally original and fully spring giving great comfort and support.It appears to of spent most of its days in storage as it looks un used.